Jeanne grew up on a dairy farm in Clayton, NJ. Along with her two older brothers, she followed art as a career. After graduating from Rowan University (then Glassboro State College) in 1969 she began teaching art in East Greenwich and South Harrison Townships. She later went on to teach art in Logan Township where she spent the majority of her time. She retired in 2004 after 34 years. Jeanne also pursued her personal art making. 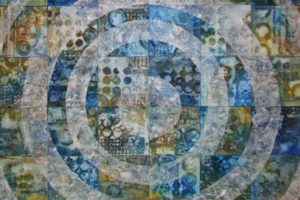 Primarily working in watercolor and acrylic painting, she also makes one-of-a-kind books. She has been a member of the Philadelphia Water Color Society for many years. She is also involved in the Art Educators of New Jersey South and the Gloucester County Art League. Jeanne is also a member of several professional organizations. Her work is represented in many private and public collections.